The development of autonomous capabilities of road vehicles is disrupting driving itself - turning the driver into the driven. Combining sensors, radars, cameras and AI to travel between destinations without human intervention, fully autonomous (or self-driving or driverless) vehicles are still in their infancy but the race to develop them is under way. The stakes are very high. Research reports estimate that the market is currently growing by a compound annual growth rate (CAGR) of more than 30 per cent; it will be a market worth hundreds of billions of dollars by the time it reaches commercial maturity. A recent study, Patents and Self Driving Vehicles, from the European Patent Office looks at patenting activity for self-driving vehicles (SDVs) in Europe, which in 2017 represented 18 per cent of global motor vehicle sales and 20 per cent of the world’s production. It provides some fascinating and valuable insights into the race to innovate in smart, connected and automated vehicles. 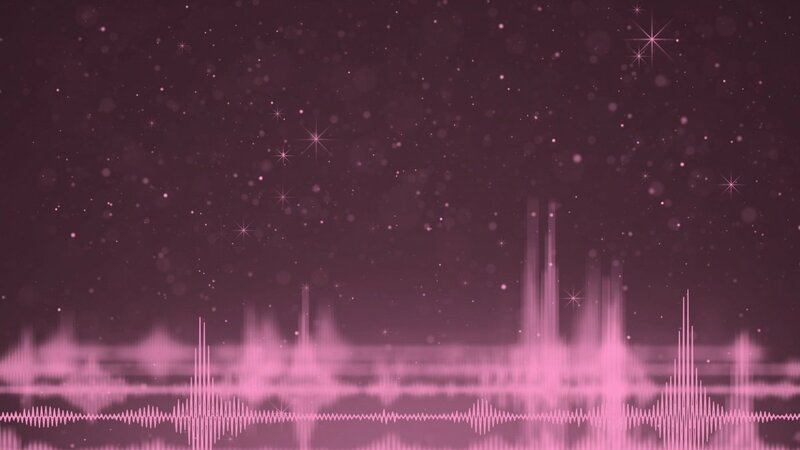 The intense level of research and innovation activity in this field can be seen in the sharp rise in the number of patent applications on SDVs - the EPO reports a 330 per cent increase between 2011 and 2017. This growth rate is more than 20 times faster than that for patent applications in general at the EPO in the same period. 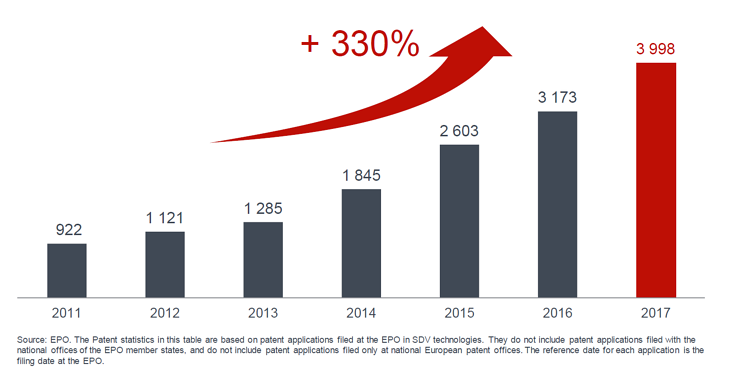 Nearly 4,000 patent applications relating to SDV technologies were filed with the EPO in 2017 alone. What may be more surprising is that the rate of patent application activity in SDVs within Europe is more than keeping pace with the USA, according to the EPO. Europe is the origin for 37 per cent of all European patent applications for SDV technologies compared to 34 per cent from the USA. Japan was much closer to these two regions ten years ago but it has not kept pace in the number of applications. Korea and China, both of whom started to make significant contributions to SDV applications in 2013, are closing the gap on Japan. Within Europe, Germany stands out as the clear leader. Indeed, when taken as a single country Germany ranks ahead of Japan and second only to the US. Given the size and scale of its automotive industry, this may not be so surprising. But it is not just the car manufacturers themselves who are pushing in this direction; several of its Tier One suppliers are filing patent applications with similar intensity. The country made 2,151 applications between 2011 and 2017, with more than 500 of them being filed in 2017. However, the range of actors on this stage is far greater and wider than the established automotive sector. The development of autonomous vehicles spans many technologies and industries. Several powerful software and telecom companies - as well as automotive companies - have developed strong patent portfolios in different sub-sectors of SDV technologies. 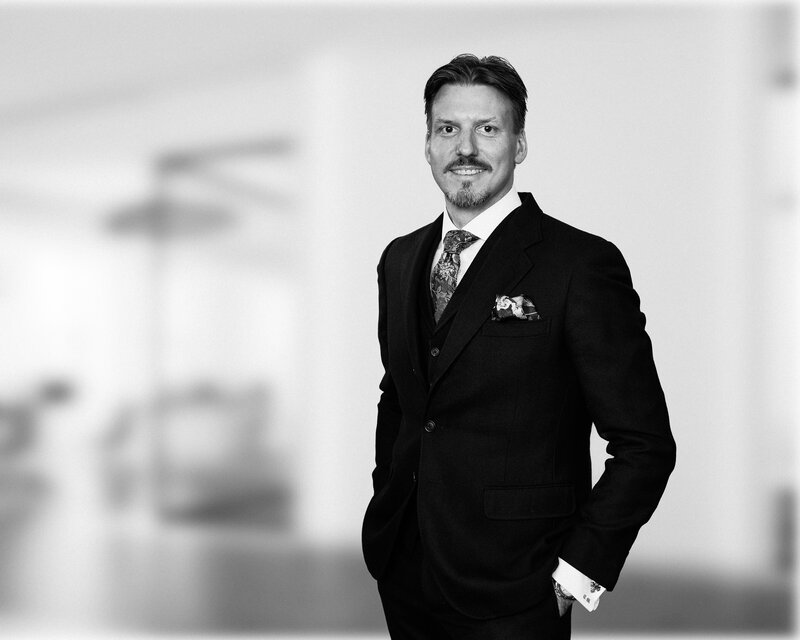 Mewburn Ellis are experts in obtaining patent protection in the field of future mobility, with a diverse line-up of experienced intellectual property professionals forming a dedicated future mobility team. Read our other blogs in the series - Future mobility: the new direction of transport.